I have been watching the social media world closely over the last few weeks and I have to admit there was a period of time where I was confusing the “Idle No More” movement with the Hunger Strike. It is not difficult to do since both are getting a lot of media attention, however they are different yet linked. There is a movement happening in Canada: people want to have a voice for responsible and sustainable development and to protect our natural resources. Our Canadian legislation that was put in place to protect Canadian citizens from our own government decisions on how to develop resources and people want a say on any changes that are planned to be made (i.e. Bill C-45) or ideally left untouched. The changes made by Stephen Harper’s government over the last 18 months has been drastic – decrease funding to independent decision making bodies for resource development, layoffs of professional scientific employees who review applications for development, layoffs and decrease INAC staff, changes to our Water Act without proper scientific debate, and these are just a few. All this was done with little understanding or explanation to the people of Canada. 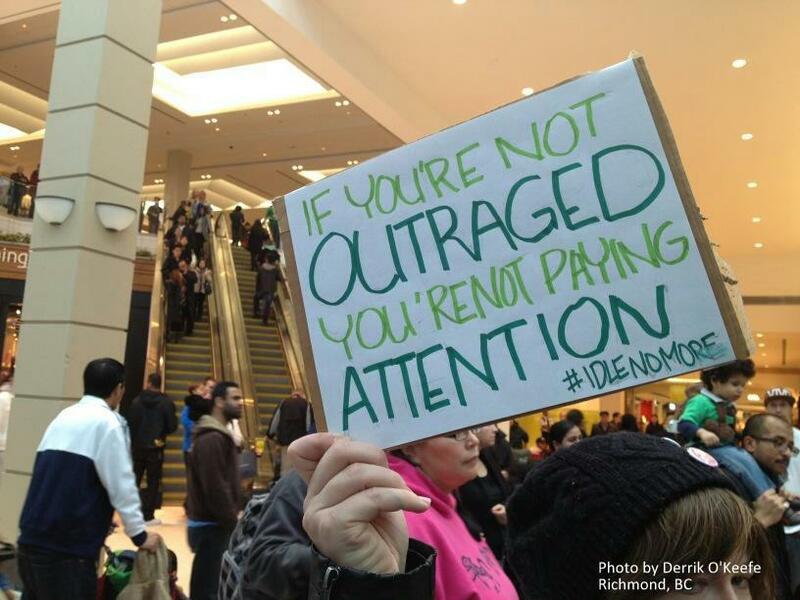 Yes, it is true that the majority of the Canadian or general public do not understand what is going on, however these movements (Idle No More and the Theresa Spence’s hunger strike) are getting people’s attention and questions are being asked. Remember social movements gave women the vote, abolished slavery….do not ignore or judge social movements for these also gave you the freedoms you enjoy today. I have found two great interviews that need to be seen by all. It gives the facts and history of both “Idle No More” and the hunger strike. This is a social movement for justice and getting a voice. This entry was posted in First Nation Perspective and tagged 2013, Aboriginal, aboriginal law, Attawapiskat, Bill C-45, Canadian, consultation, engagement, Environmental, first nations, Harper, Human Rights, Hunger strike, Idle No More, idlenomore, Indian Act, Indigenous, June 11, Legislation, Movement, Native, News, Policy, Russel Diabo, Ryerson University, Social justic, social movement, Theresa Spence by Michelle Goodkey. Bookmark the permalink.